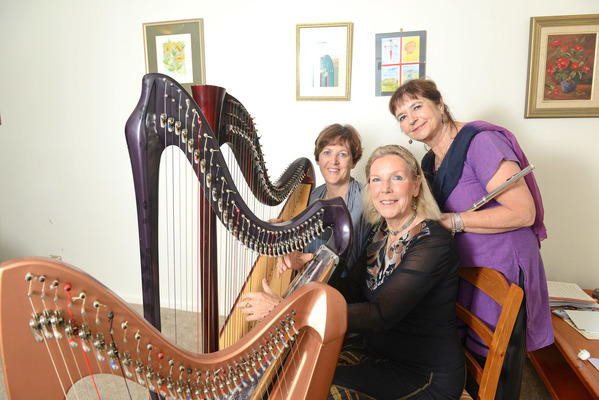 Cath Connelly, Anke Arkensteyn and Carla Whitley are skilled harpists who have focused on the art of therapeutic harp to bring peace to people who are in palliative care. Through harp therapy, they support patients physically, spiritually and emotionally to bring them to a more peaceful and calm state. Now, along with international harpist and director of the International Harp Therapy Program, Christina Tourin, they will bring their music and the soothing melody of the harp to the Tecoma Uniting Church on 28 April, for a special one-off performance. For the performance, Ms Tourin will be presenting an evening of harp music and information about the healing qualities of the harp. Ms Tourin will of course be accompanied by local hills harpers Cath Connelly, Anke Arkensteyn and Carla Whitley, who are also international players and have toured overseas. The performance, they said, while including aspects of what harp therapy, is will also include a range of genres, solos and also different instruments. “There’ll be a variety, there’s going to be solos, some duos playing too, and a combination of instruments because Carla has her flute … there’ll be Celtic and classical,” Ms Connelly said. “Christina will talk a little bit about the effect of the harp as well,” Ms Whitley said. That effect is of course the distinct and soothing sound that the harp produces, a sound which both Anke, Cath, Carla and Christine know can bring solace to those who are sick or in palliative care. Rather than prescribing drugs, harp therapy prescribes music to calm the soul and the person. Often, the soothing instrument can help change an individual’s state of mind if they are agitated or anxious, and for someone breathing heavily that difference is certainly noticed by the harpist who often sits by their bedside. “If you’re playing with someone who is sick, the sound won’t cure but it brings healing, brings an inner balance into that person’s life, and a comfort and a calm, Ms Whitley said. While sometimes all that it needed for the harpist to calm an individual is to play a few notes in rhythm with their breathing, the performance will certainly show off their complete repertoire of the years of experience they’ve spent playing the harp. “At the concert, we’re going to have a lovely big repertoire and show-off the harp,” Ms Connelly said. 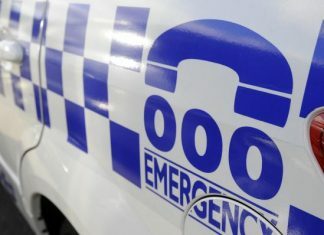 The concert will take place at the Tecoma Uniting Church on 28 April at 7.30pm. Tickets are $20, $15 for concession, and supper will be served at the conclusion of the evening, with time for questions.